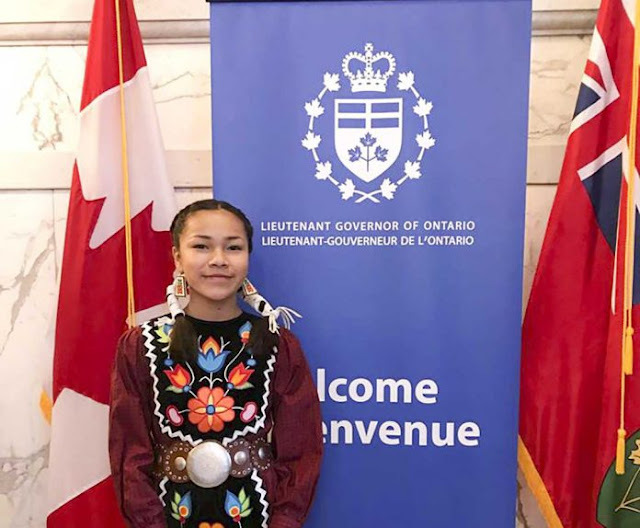 Wiikwemkoong water advocate Autumn Peltier has been selected as a 2017 Ontario Junior Citizen award recipient from the Ontario Community Newspaper Association (OCNA). 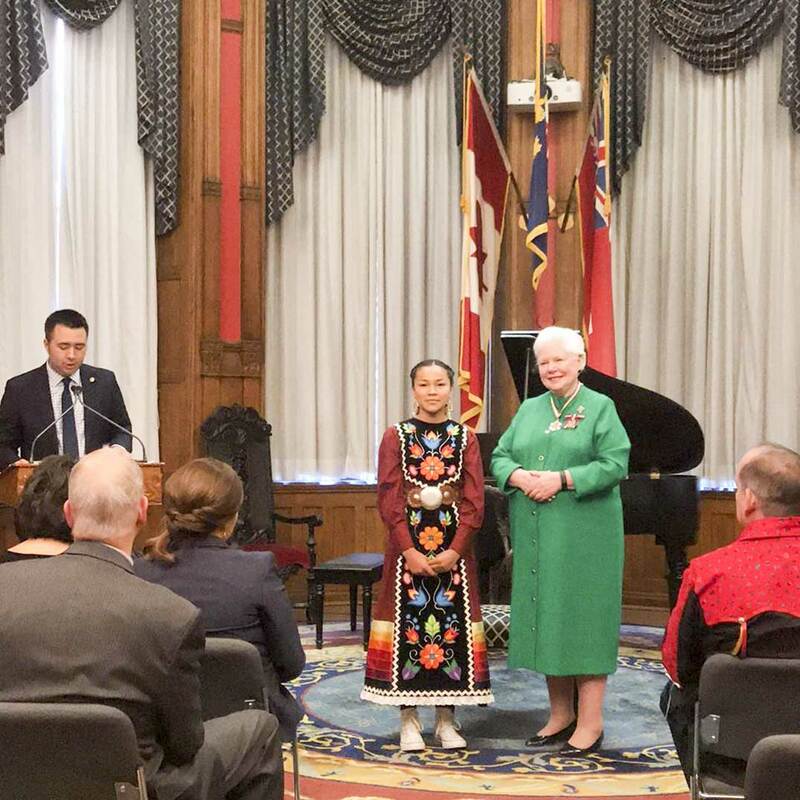 Last Friday, Autumn was awarded the Sovereign’s Medal for Volunteers by Elizabeth Dowdeswell, Lieutenant Governor of Ontario. Autumn was joined by fellow Islanders Josephine Mandamin, Dawn ‘Meemee’ Harvard, Allen Corbiere and Neil Debassige, who were also presented with medals. In February, Autumn will speak at the Assembly of First Nations in Vancouver at a water symposium and the Indigenous Women’s Forum in Ottawa. Autumn will also speak at the United Nations (UN) General Assembly at World Water Day on March 22 at the United Nations Headquarters in New York. The Ontario Junior Citizen Awards are promoted through the 280 member newspapers of the Ontario Community Newspapers Association. Nominations of eligible youth aged six to 17 are received through member newspapers committed to recognizing the outstanding leaders who are making a difference in their communities. Nominees may be involved in community service, are young people who are contributing to their community while living with a physical or psychological limitation, or individuals who have performed acts of heroism or bravery. Candidates are also recognized for being ‘good kids’ who show a commitment to making life better for others. A panel of judges unanimously agreed on the final award recipients. The final recipients and their families will be invited to a special ceremony in Toronto to receive their award in March of this year. 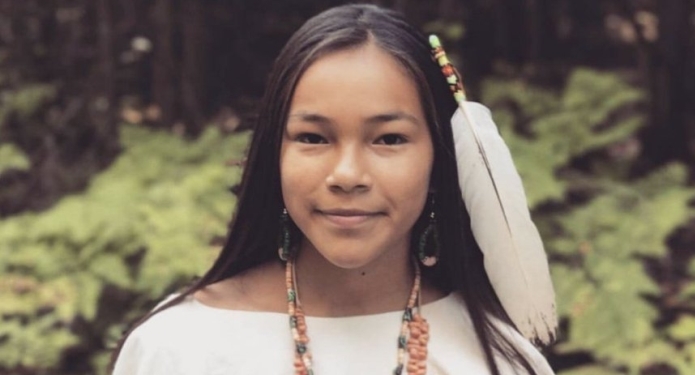 Responses to "13-years-old Anishinaabe activist named to Junior Citizen’s award "